Beth has a Masters in Fine Arts, and was a practicing artist before she was drawn to creative advertising. She began her career as an Art Director at Colenso BBDO, New Zealand, where she won the country’s first D&AD Black Pencil by launching Pedigree K9FM – a radio station just for dogs. 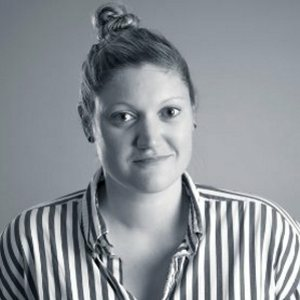 In 2015 she headed to New York to take up Associate Creative roles at RGA and Droga5, where she created the Role Models spot for Hillary Clinton’s presidential campaign, described by The New York Times and Forbes Magazine as “a masterpiece of political advertising” and a “Hall of Fame-level” ad. She has a love for everything interactive, a running theme through her work. Like the time she invited hundreds of people to watch the movie Jaws at night, while floating in rubber rings on the open ocean. Or the time she created a virtual-reality hunting game where players won the meat they shot in real life. In 2017, Beth was welcomed back to New Zealand to take up a Group Creative Head position back at Colenso BBDO – an agency that remains dear to her heart and sparks her creative soul.